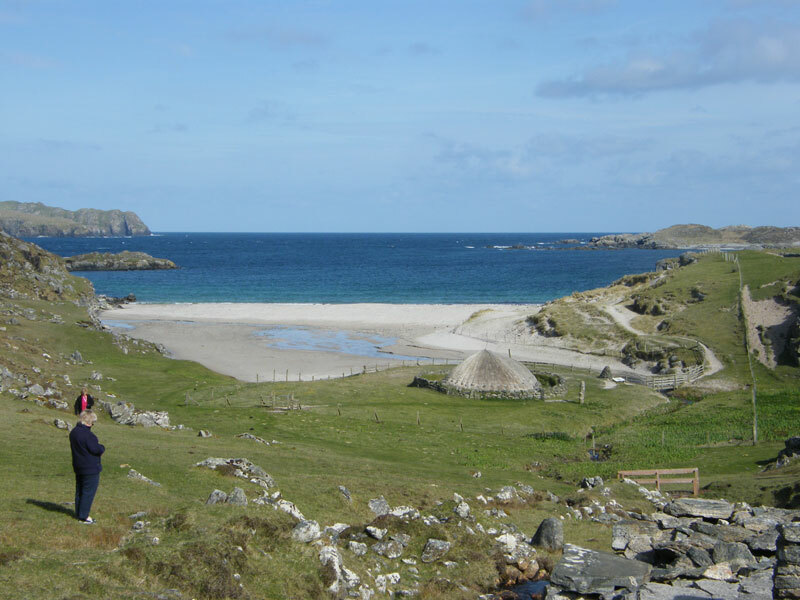 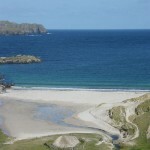 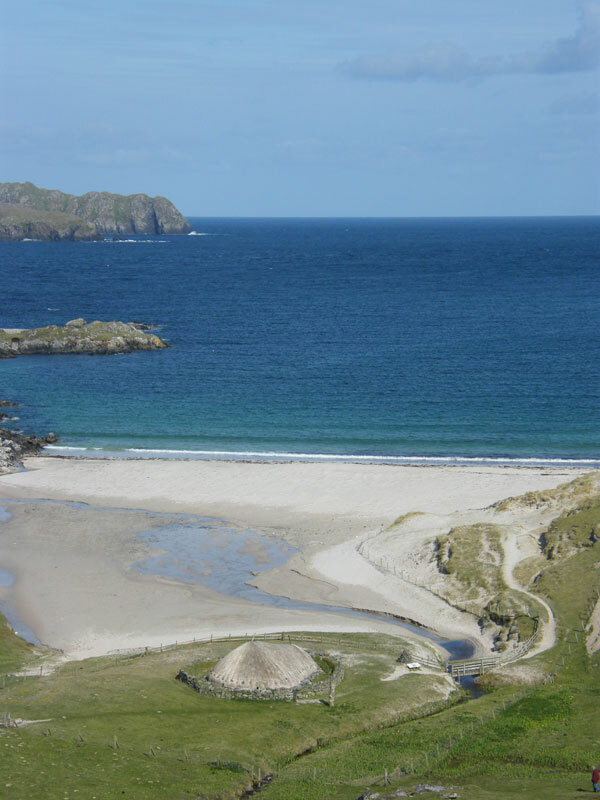 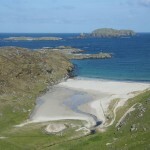 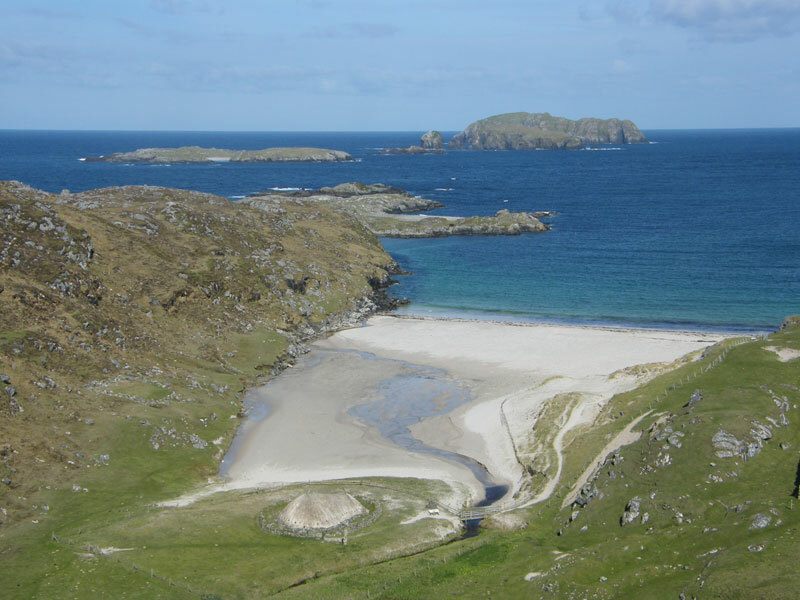 Bostadh Beach lies at the top north west corner of Great Bernera. 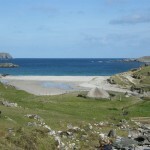 Great Bernera is accessed nowadays across a bridge and the route is down the B8059. 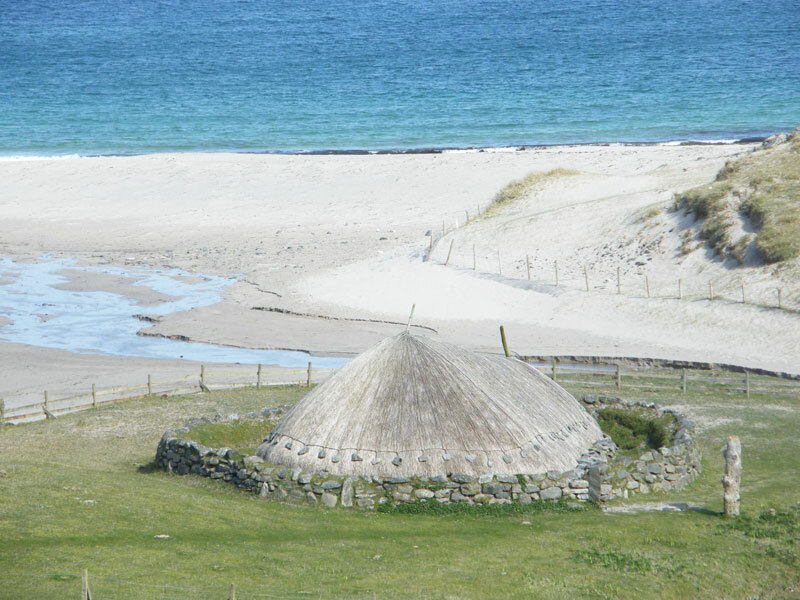 An added attraction to the beach is the restored Iron age Mill which lies at the head of the beach. 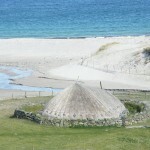 The building emerged from the sands after a storm.